Well-loved in warmer climates, glass fencing is often referred to as pool fencing in Australia and the US. Secure and attractive, glass pool fencing lets you keep small children safely away from your swimming pool whilst letting you enjoy the sight of your pool. Glass fencing around your pool also means you can enjoy a sense of family togetherness even if some of your family are taking a dip whilst others relax in the garden. No-one feels left out and your garden doesn’t feel “sectioned off” in the way it can with more solid fence styles. Choose glass coated with BalcoNano® glass coating and you do away with the need for squeegees or glass cleaners; splashes from the pool just run off the glass, leaving it clean and streak-free. That’s one less job on your to-do list! If your home overlooks open countryside or a coastal view, marking your boundary with glass fencing lets you enjoy those views without obstruction. Unlike wooden fences or wires which need regular maintenance for safety and security, frameless glass fencing needs little ongoing maintenance. Choose glass coated with BalcoNano® and you’ll barely need to lift a finger to keep the glass clear and streak-free; especially impressive if you’re installing your glass fencing in a coastal location. You won’t get the unsightly “tea staining” you see on stainless steel fittings either. Balconette’s glass balustrades are made with anodised aluminium for durability and continued good looks. And with a 10-year guarantee on anodised finishes, you can be confident that your glass fencing will look good for years to come. Fencing your decking with glass decking panels means safety and good looks. 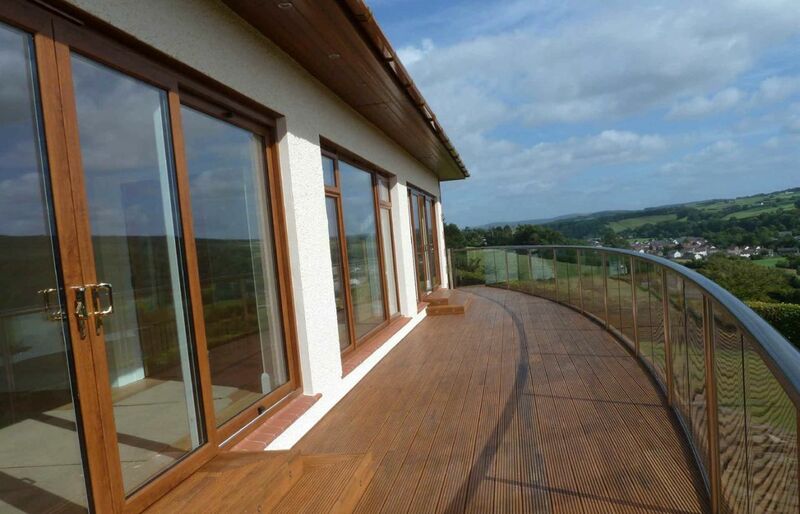 You’ll find your decking enjoys a milder microclimate protected from the wind and cold weather. If you’re a gardener, that might just be the difference between delicate plants flourishing in an otherwise inhospitable climate or outdoor grown tomatoes within easy reach of your kitchen; perfect for an alfresco lunch on your protected decking area. Surrounding your decking with glass fencing means children can play in safety, and pets can relax without escaping; whiach means one or two things less for you to worry about. And if you want extra security and peace of mind you can add a glass gate to complement your glass fencing. 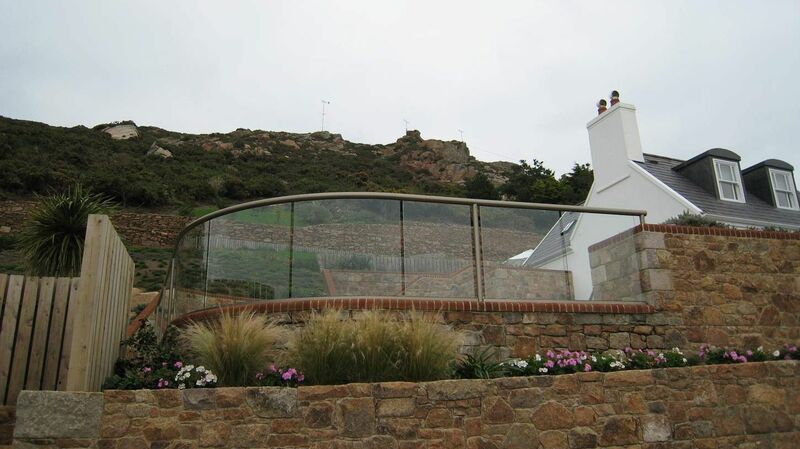 You’ll find Balconette’s range of glass fencing easy to install. With complete instructions available – both as a downloadable PDF and as a clear You-Tube video – 2 people with the right tools can fit these glass fence panels with ease. But if you’re short on time or effort, our network of approved Registered Partners can fit your glass panels for you. UK-designed and manufactured, Balconette’s glass fencing exceeds UK & EU safety requirements, is easy to maintain, simple to install and has added safety, good looks and security to many homes already. Have a look at our case studies and photo gallery and be inspired.